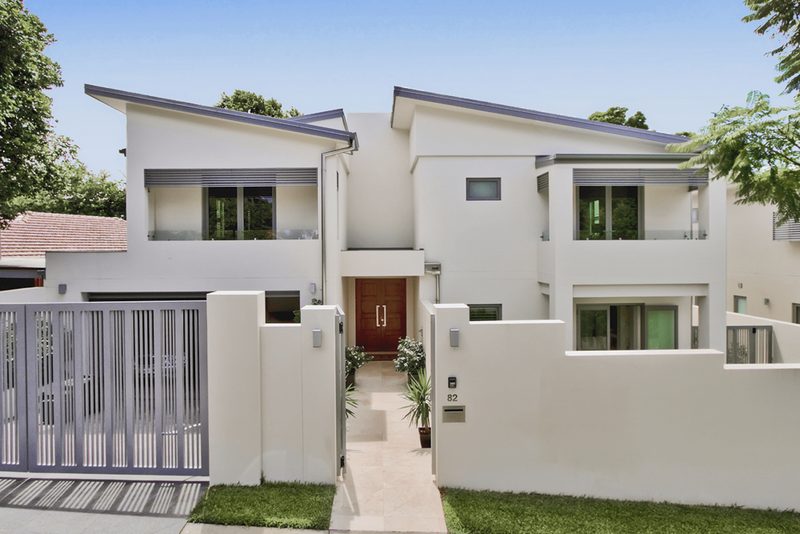 This design maximises the use of passive solar design features with skillion roofs, high ceilings, shaded balconies and horizontal screening elements throughout the building. The use of high quality finishes, large windows and bi fold doors gives the home a sense of openness and luxury. Outside a variety of materials, raised planting beds, and a water feature in the pool area create a low maintenance backyard oasis with a full sized lap pool incorporated into the courtyard.